I didn’t have my heart set on a safari, or anything really, my goals were simply to be in Africa and to see The Fabulous family, and maybe avoid illness/parasites. Looking back, though, I will be forever grateful that Dr. Mama Fabulous did arrange for us to do some vacationing in the Warm Heart of Africa. Zero things to do – oh yeah!! 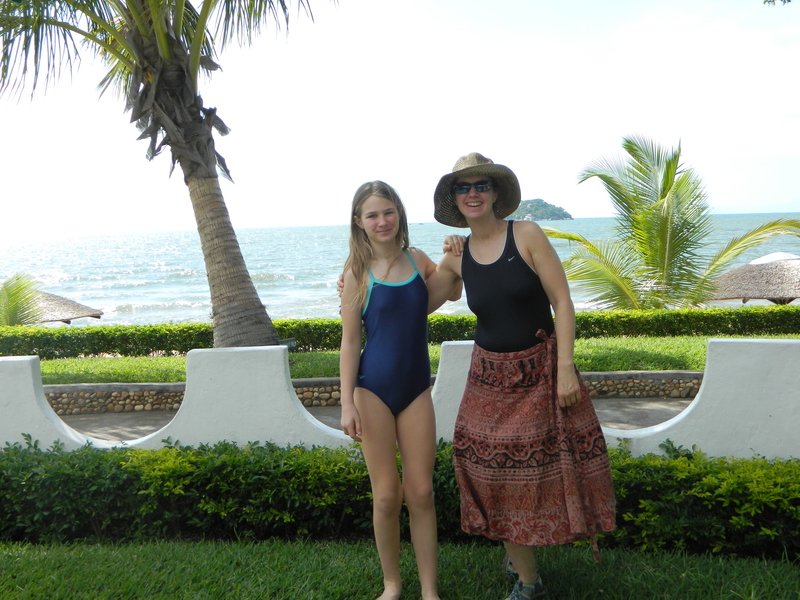 We stayed in a rental house (Dr. Mama had a connection) and enjoyed swimming at the beach there, also we swam at a pool and private beach down the road for a small fee – it was part of a resort chain called Sunbird. 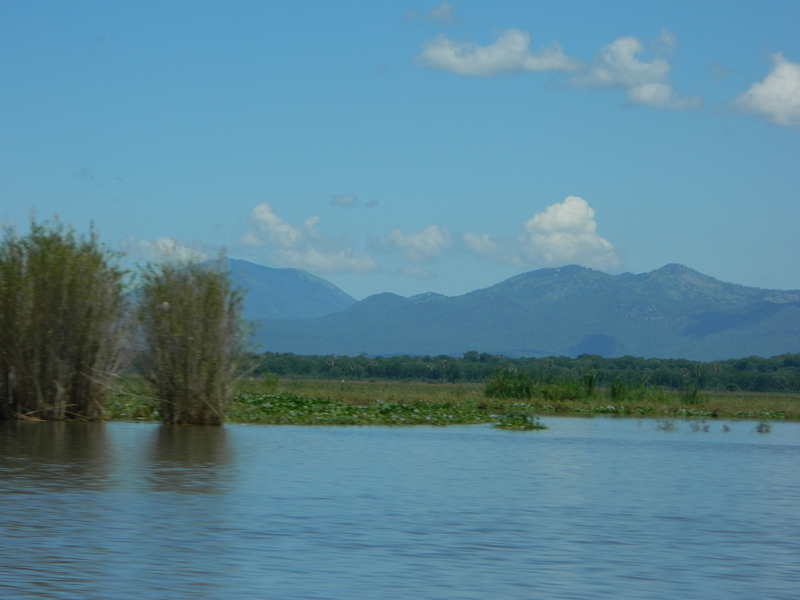 We paid a local who took us in a small boat to a nearby island in the lake. It is called Lizard Island for its large-sized lizards, of which we saw none, unfortunately. We did have a great boat ride, a nice hike all over the little island, and we went snorkling and saw the famous cichlids in their habitat. We fed them crackers and they surrounded us like a dancing underwater bouquet. 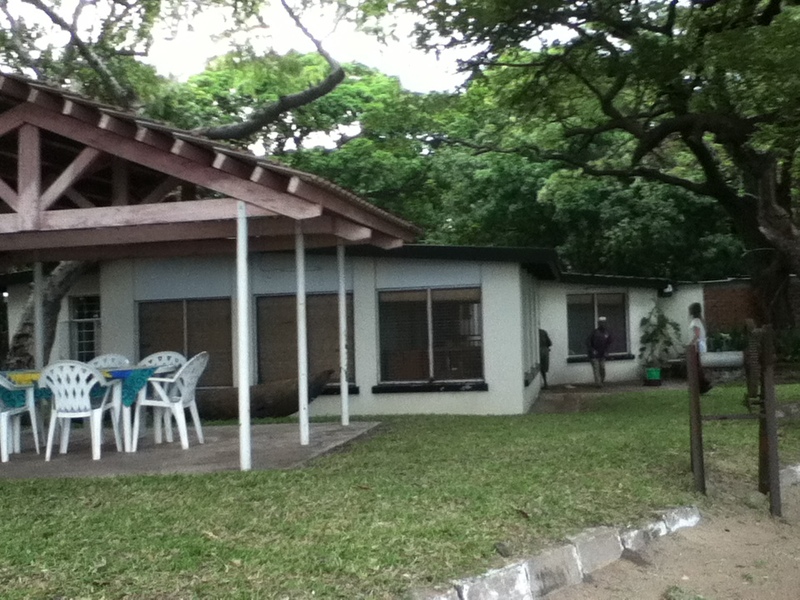 After Senga Bay, we headed to the glorious Hippo View Lodge – this place would feel at home in New Jersey with its brightly colored hippo statues and other kitschy decorations on hand. 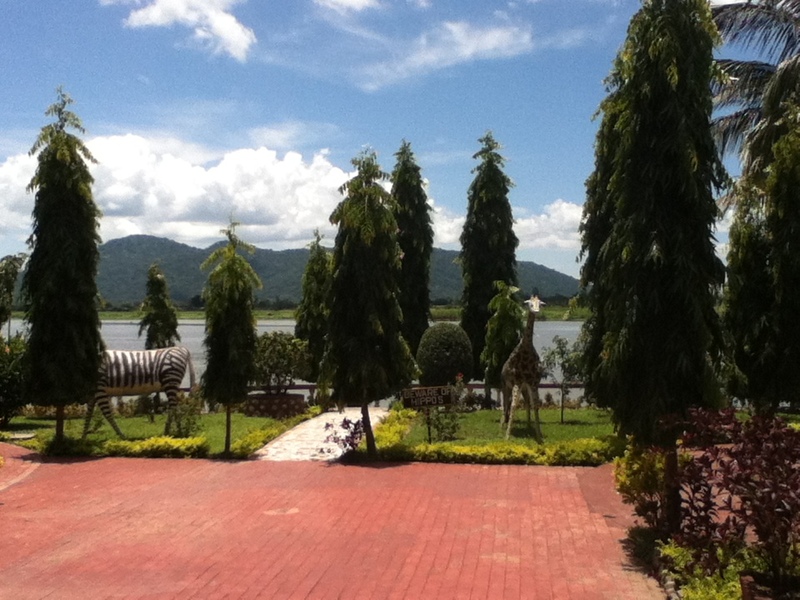 The spectacular Hippo View! 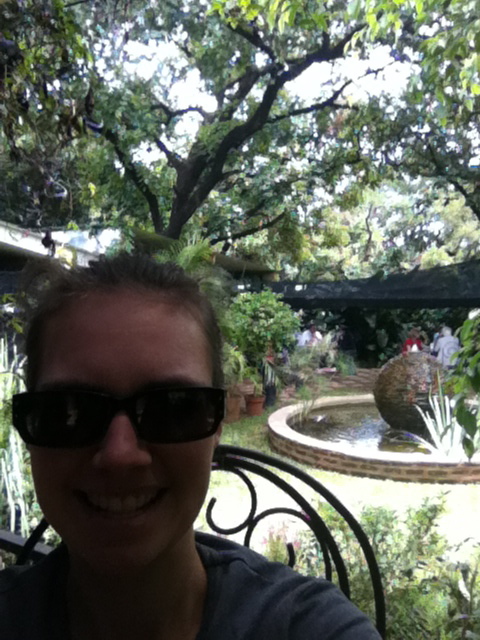 Note zebra and giraffe statues on R photo! 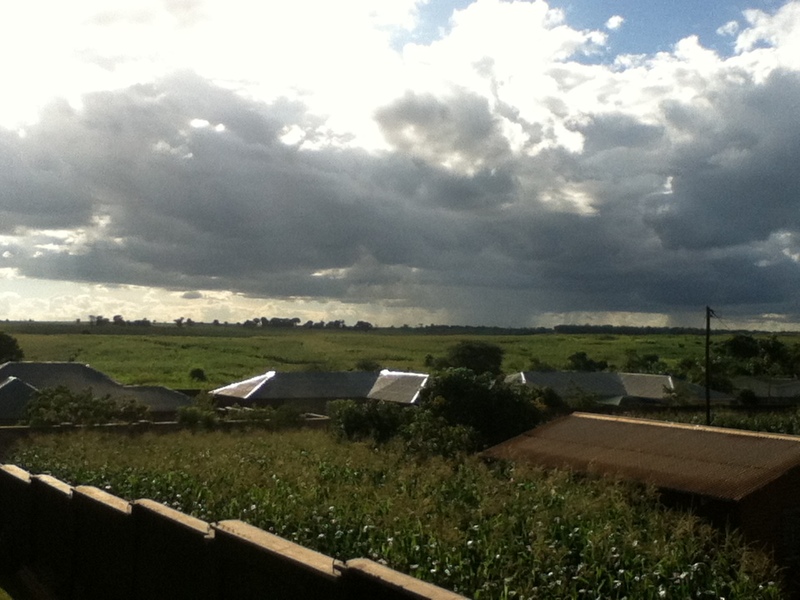 from Hippo View, we met our connection for the Mvuu Lodge. 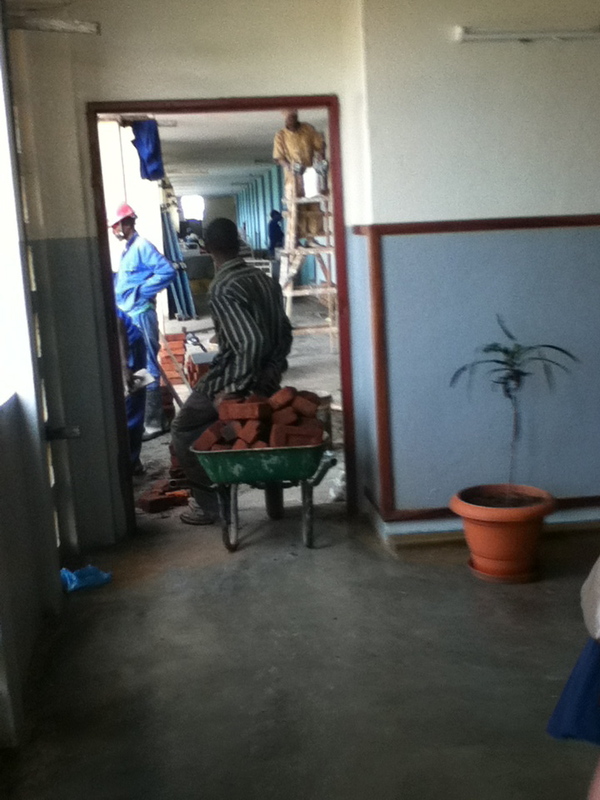 I should mention here that Mvuu means Hippo in chichewa. So, we signed some paperwork – sigh, it appears that litigiousness has reaches the banks of the Mvuu – and got into the riverboat. “Sorry – it’s our first hippo!” I blurted by means of apology after standing up in the boat minutes after we had promised to remain seated. There were so many hippos! Eventually, we kind of got used to them. They lazed around in clumps, only their eyes above the water. 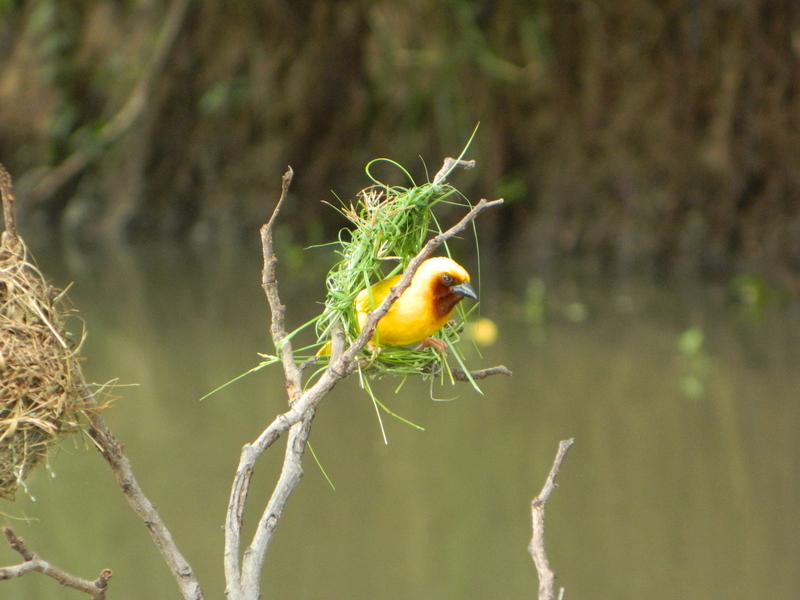 There were also birds, and one elephant we saw during the river ride. 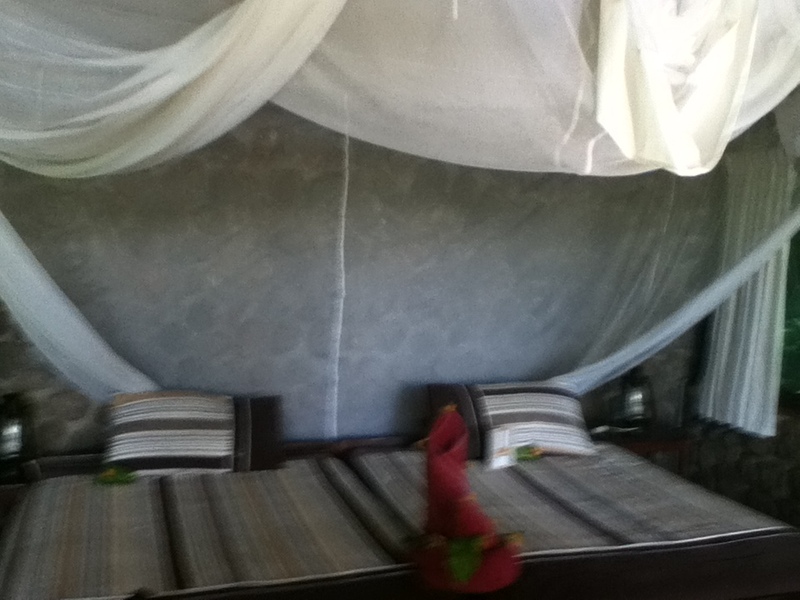 Mvuu Lodge was luxurious. 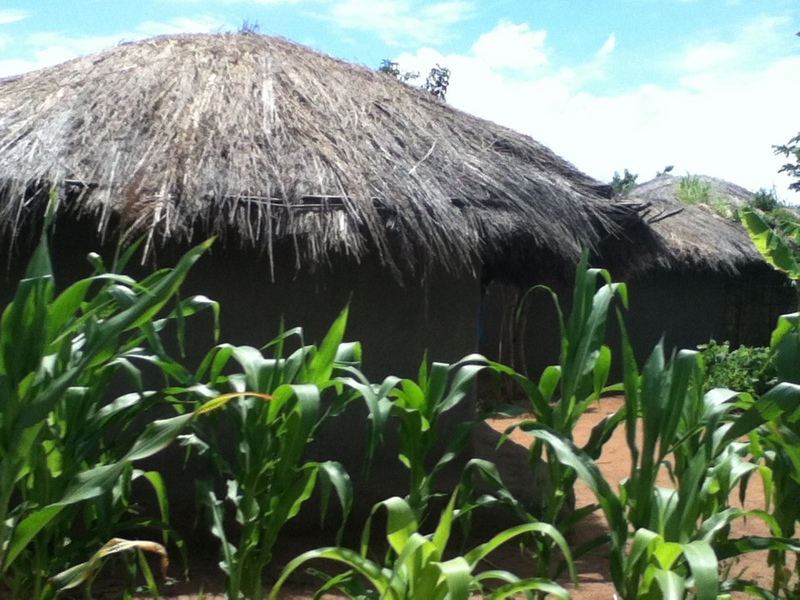 There was a main eating/gathering area with a thatched roof, and paths to small tent/cabin structures on the grounds. We had 2 of these, so Fiercely and I had our own. Each was equipped with umbrellas and also an emergency whistle. 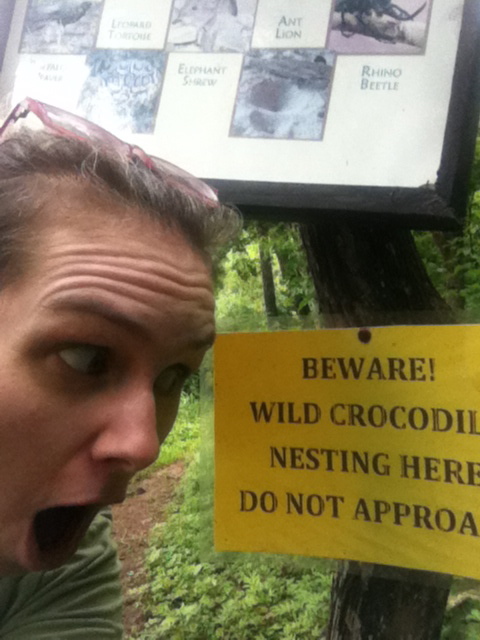 Luckily, there was no rain or threatening wildlife while we were there so we needed neither! 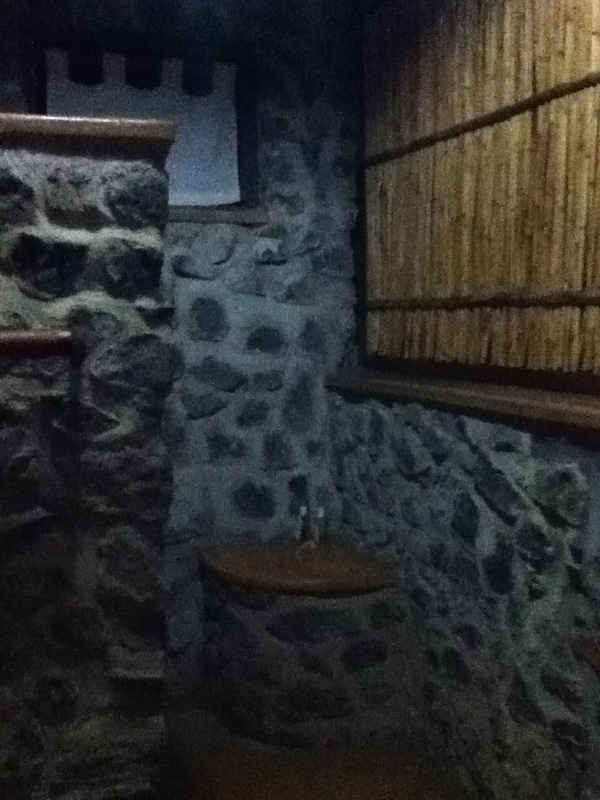 The bathrooms were so beautiful with stone, wood, and bamboo, I can’t believe I took pictures of them but I did. 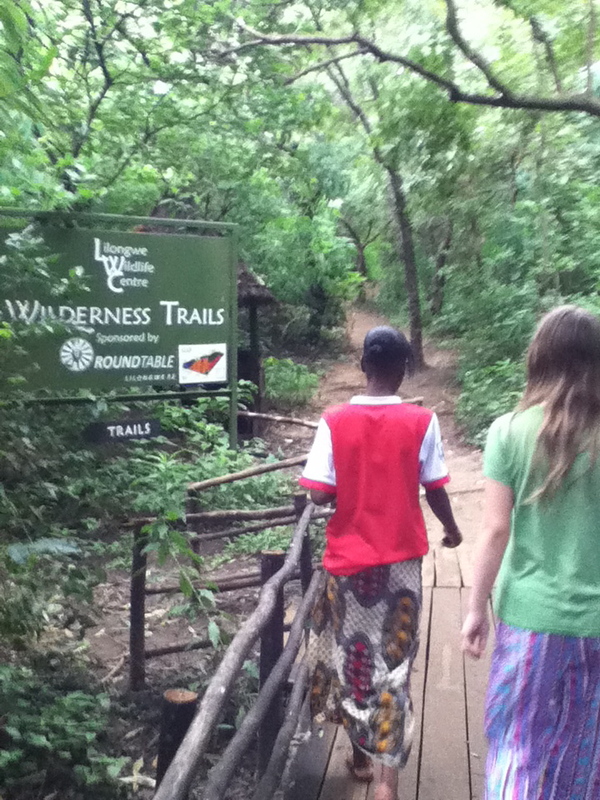 That night, we went on an evening safari in Liwonde National Park, where the Lodge is located. 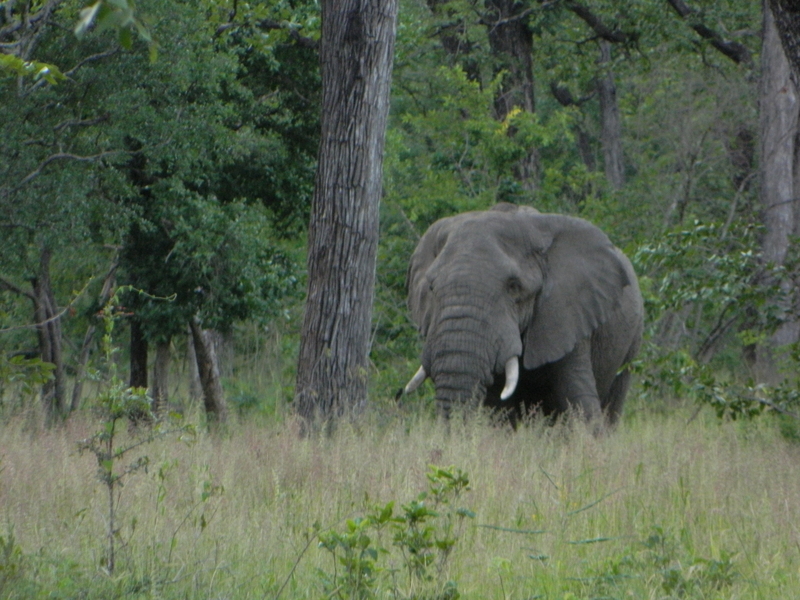 There were herds of impala, numerous monkeys and warthogs and kudu, and we saw one elephant. Apparently the rainy time of year makes elephants more scarce because they have more options for drinking water. 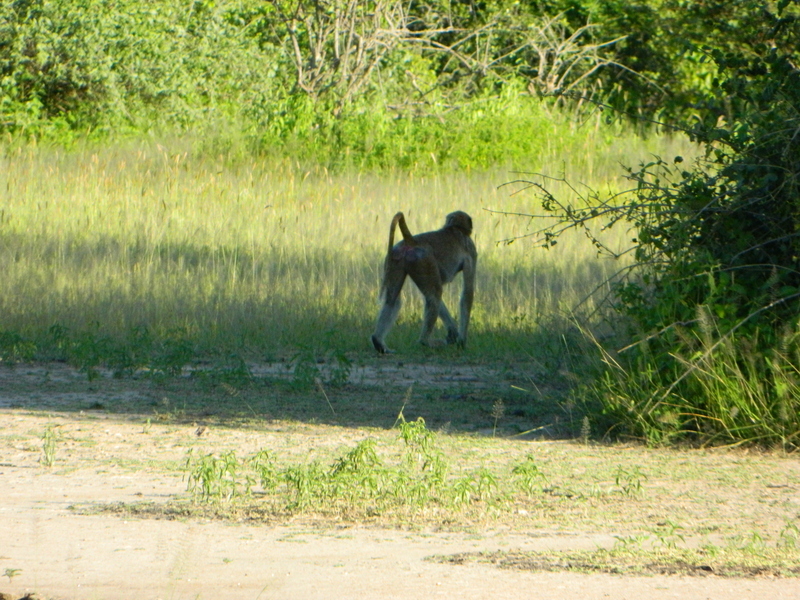 During the dry season, they are more predictable. 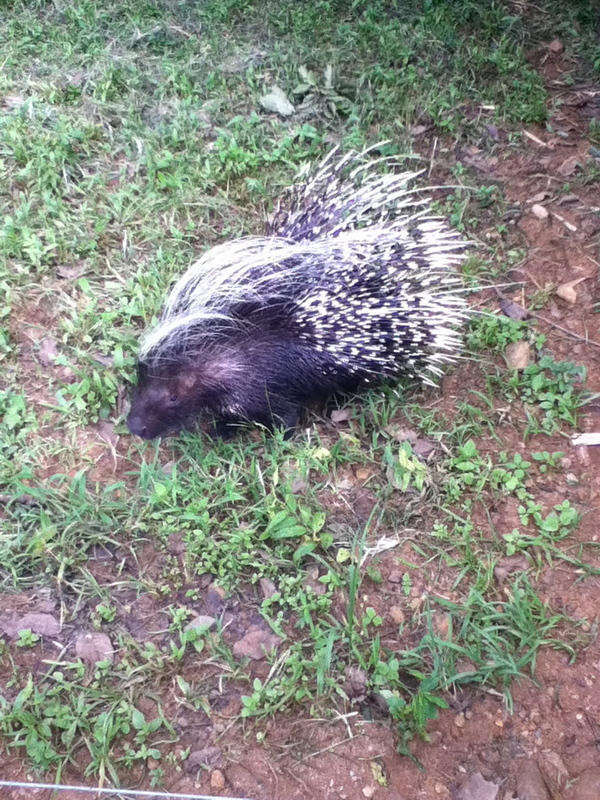 So we felt lucky to see a few on this trip! 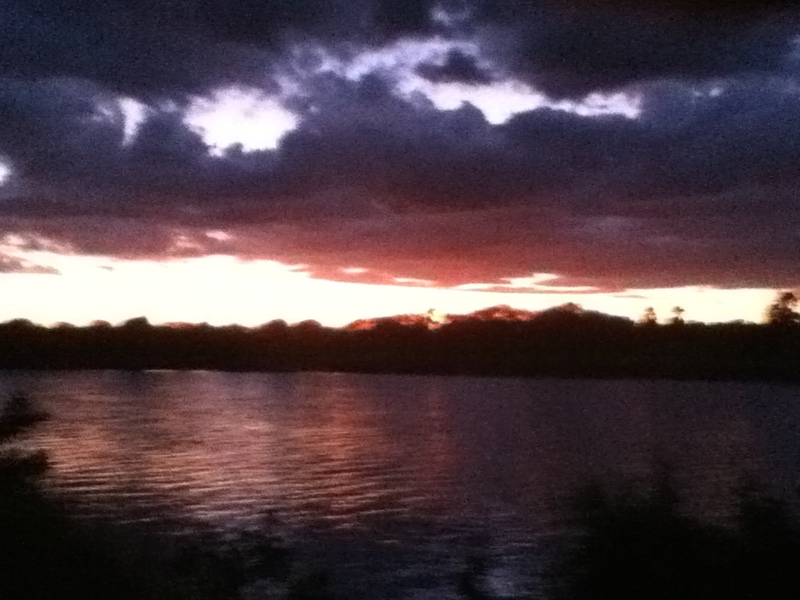 The sunset by the river was beautiful. 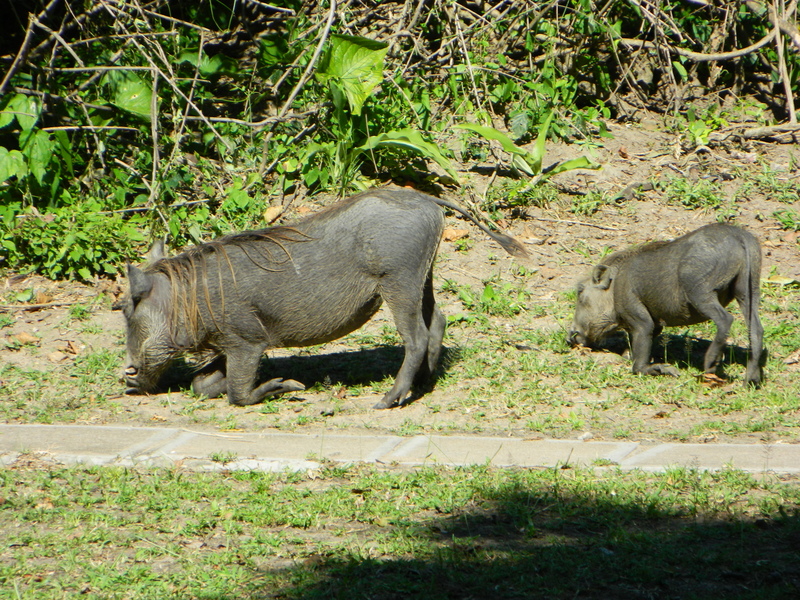 Warthogs eat kneeling down! Who knew? 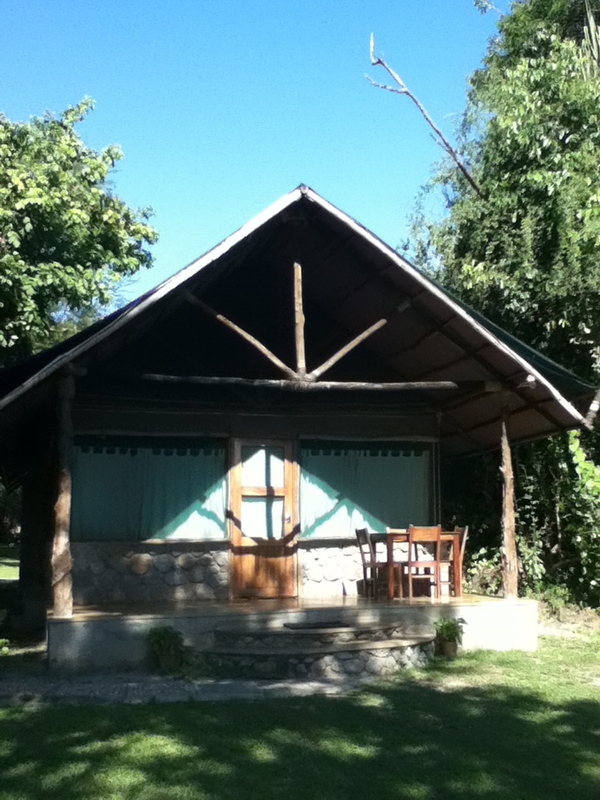 Well, the night was boisterous with any number of birds, bugs, hippos and other creatures making their nightly music. It was all so loud and unfamiliar, it woke me up more than once! 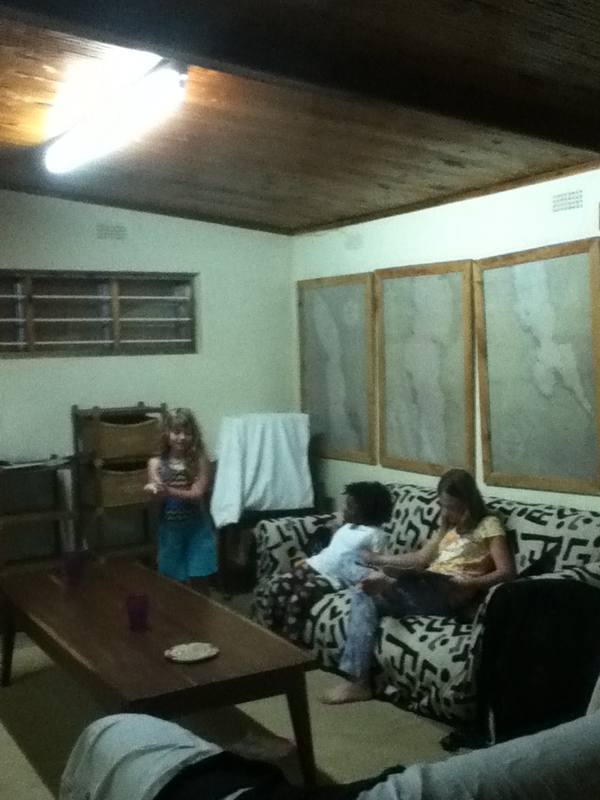 The walls of our cabin were screens so we could hear everything, I loved it. 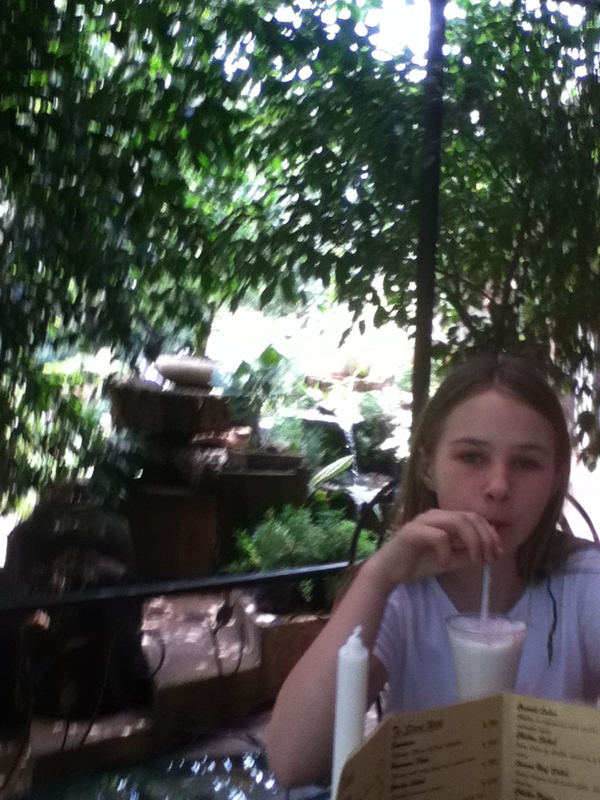 The next morning we took a river safari and saw crocodiles, birds, and more hippos. 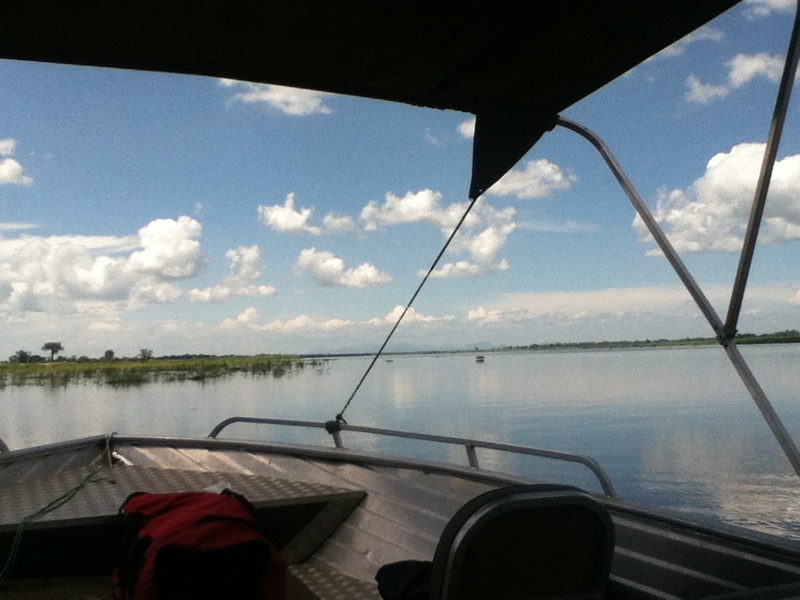 Then it was back on the river to Hippo View and a drive back to Lilongwe. Oh! I almost forgot our hippo story! 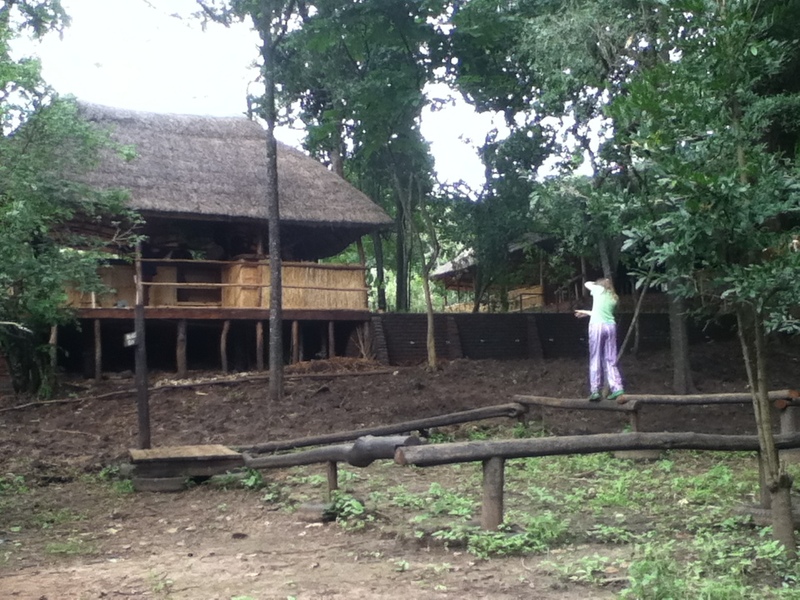 When we first arrived at the Lodge, we heard a commotion and looked at the path in front of the thatched main building. There, crashing through the riverside brush, were two hippos, one chasing the other! They ran faster than you might imagine through the Lodge grounds and past the little cabins, making deep imprints in the packed ground with their heavy feet. The victorious/bully hippo turned back and returned to the river from the brush where they had emerged, job done. 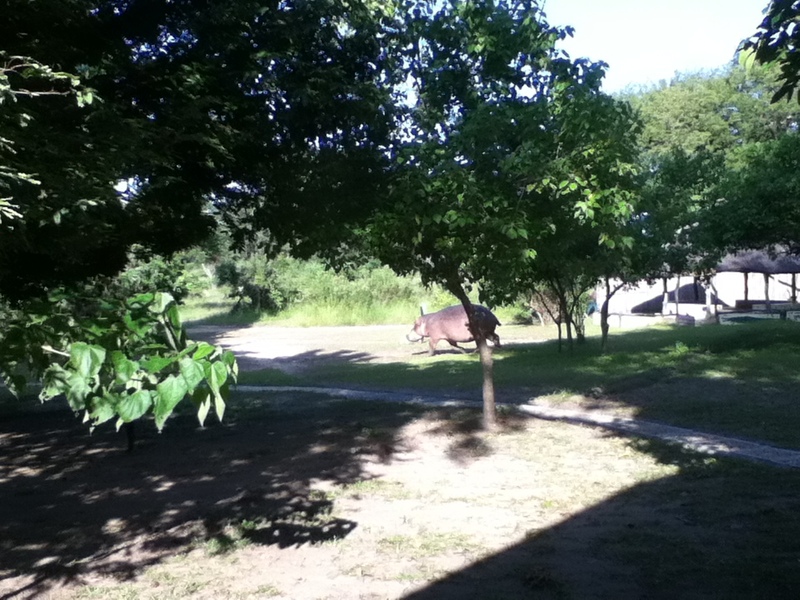 The poor hippo being chased continued and barged through a fence across the lodge grounds and back to the river. A big part of what we did was hang out with the Drs. Fabulous. 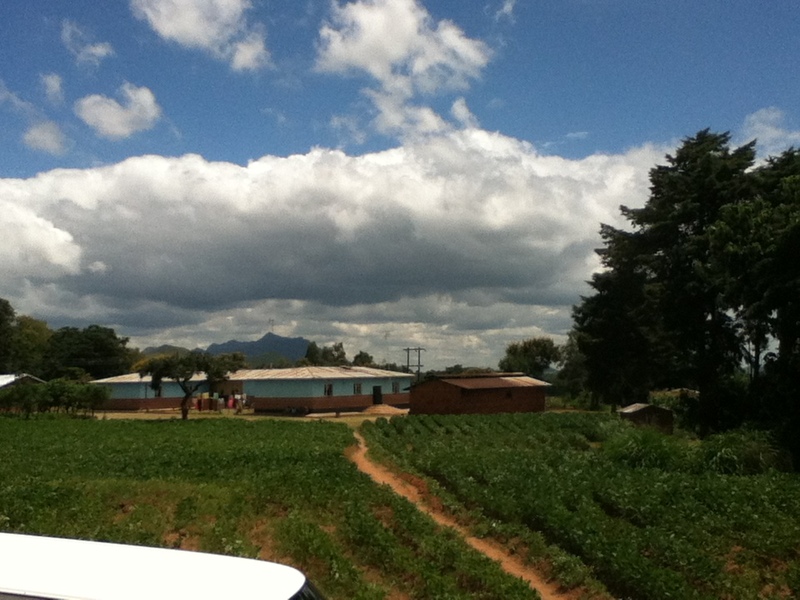 They both worked in Lilongwe with nonprofit organizations – Dr. Papa with an HIV nonprofit, and Dr. Mama with both a pediatric HIV clinic and a public hospital. I was lucky enough to work with each of them and get a glimpse of their work. 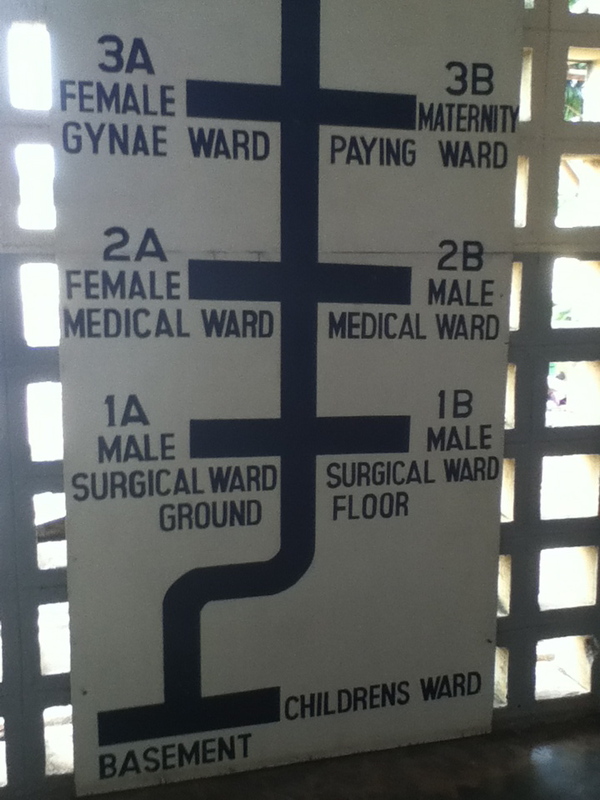 The hospital was very different from anything people in the US would expect for themselves and their loved ones. It was sweltering, malodorous, packed with people, and by US standards, unsanitary. 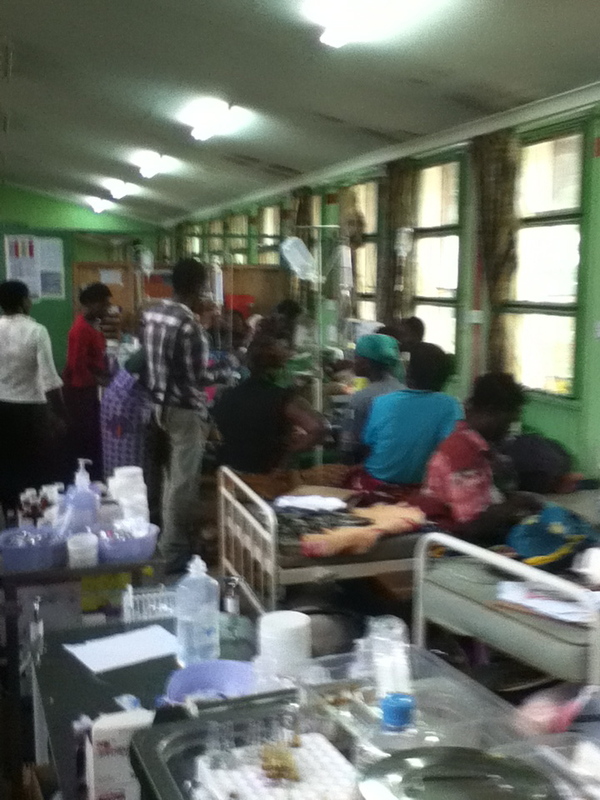 It consisted of large rooms with numerous metal-frame beds, packed with up to 6 children per bed in the pediatric unit. There were a few fans, but no air conditioning and the air was dank. 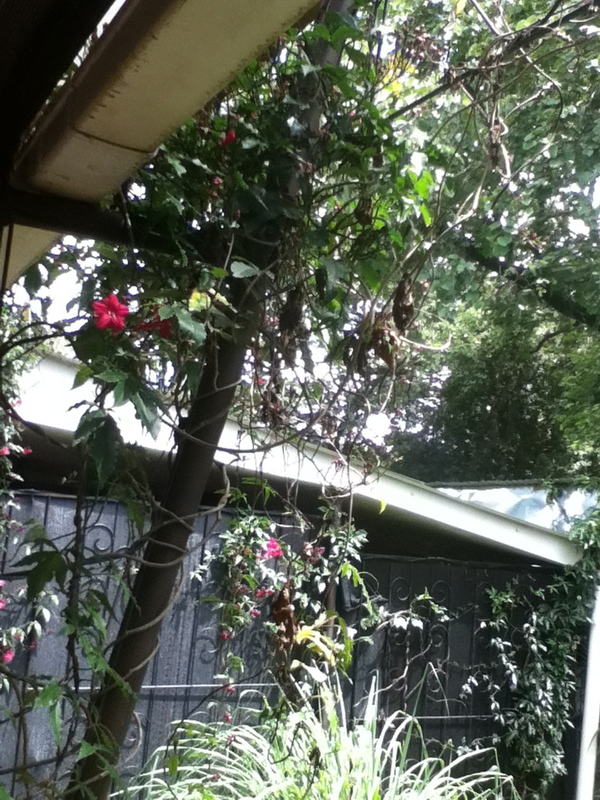 Outside were courtyards where family members waited, did laundry, talked with each other. Medications and supplies were scarce and technologies such as CT scan and MRI nonexistent. Radiology workers were on strike at that time so they were not doing x-rays that were needed, for example, to remove chest tubes on several toddlers. It was very sad to see the malnourished babies and children, many with TB and/or HIV, and the mothers looking so tired and often sick themselves. It was a shock when Fiercely and I first went to the hospital. We had left a cold East Coast winter, but here it was warm, humid, crowded, and smelled strongly of humanity and disease. 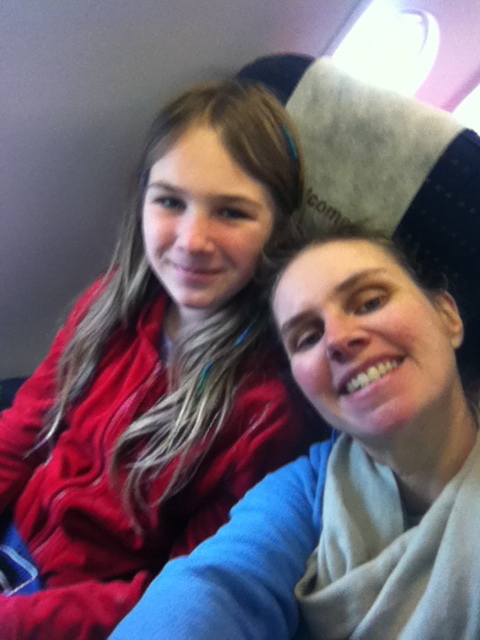 I had been in similar places, but my daughter, a privileged American 12-year-old had not. She began to turn pale, sweat, and to stagger a little so we sat her down and eventually left. Dr. Mama worked a 16-hour shift there every week. 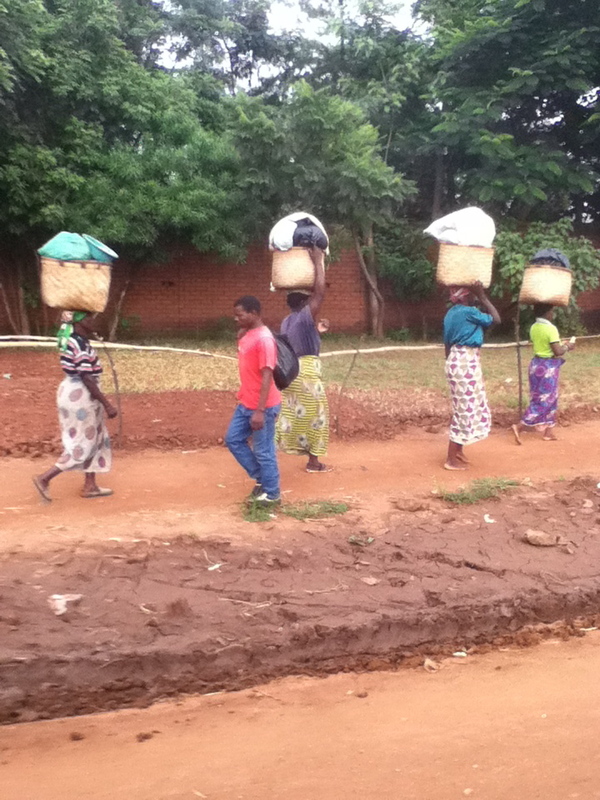 Malawians travel days to get their medical care here. The inequities of the world are stark. I wanted Fiercely to see how most of the world lives; I would like for all first-world denizens to experience this, work for a more equitable sharing of the world’s resources among the world’s people, and be truly grateful for our lucky circumstance of a materially privileged life. 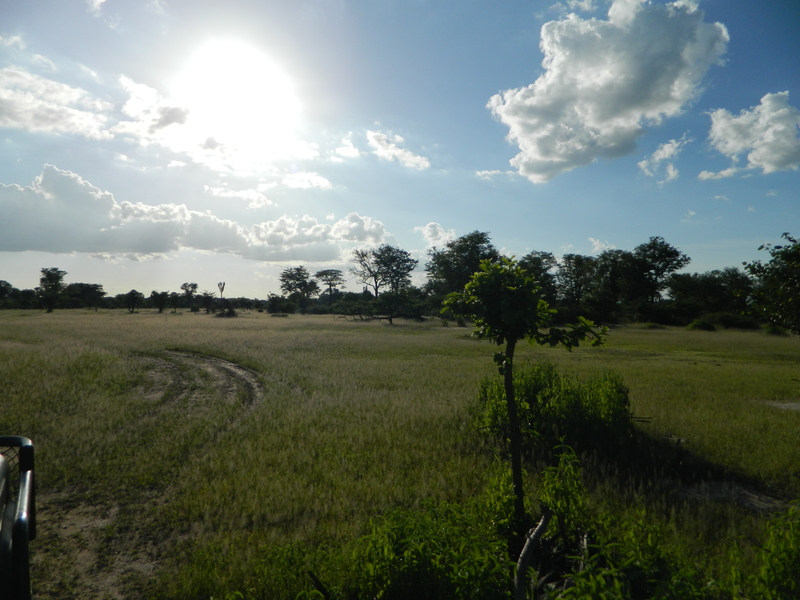 After working at the public hospital, I was able to go with Dr. Papa and crew (driver, translator, and community liaison) to several rural clinics. 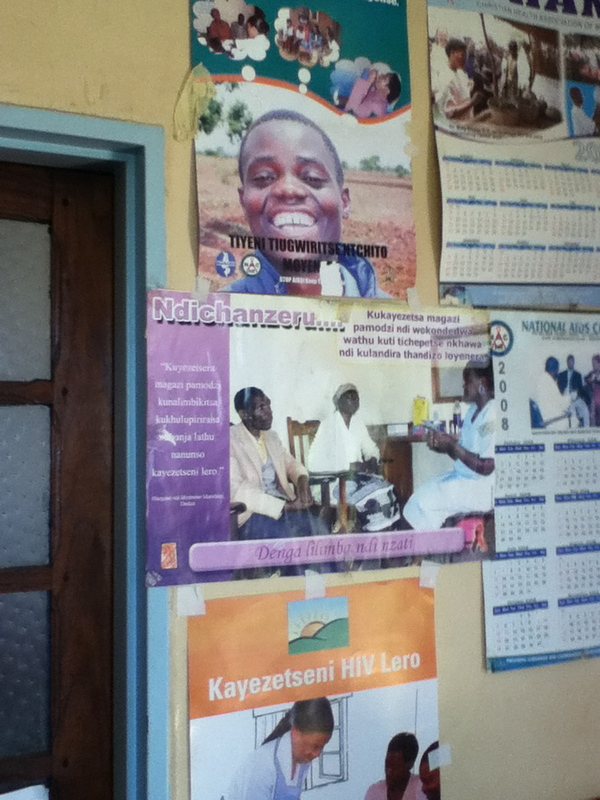 They were collecting data and doing some education on HIV prevention among pregnant women and newborns. Malawi actually has a progressive and successful program on reducing mother-infant HIV transmission, though the challenges are formidable. The clinics I saw were rudimentary cement buildings, one with a startling and very pungent-smelling bat colony in the ceiling! In one of these little clinics, 1 nurse – a man who was assigned there and basically on call at all times – aided the delivery of 1000 babies in a year including, in one especially busy recent month, a hundred births! 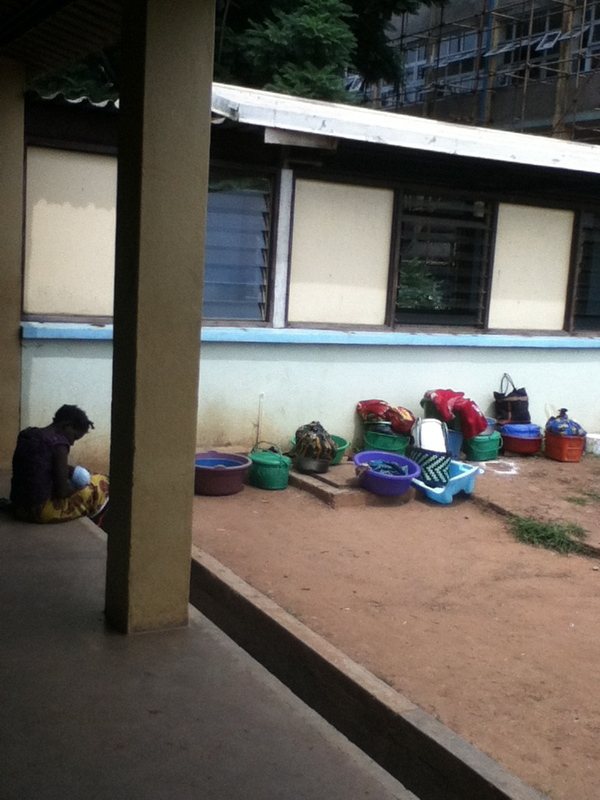 A third experience I had, and Fiercely joined me for an afternoon here, was at an orphanage. 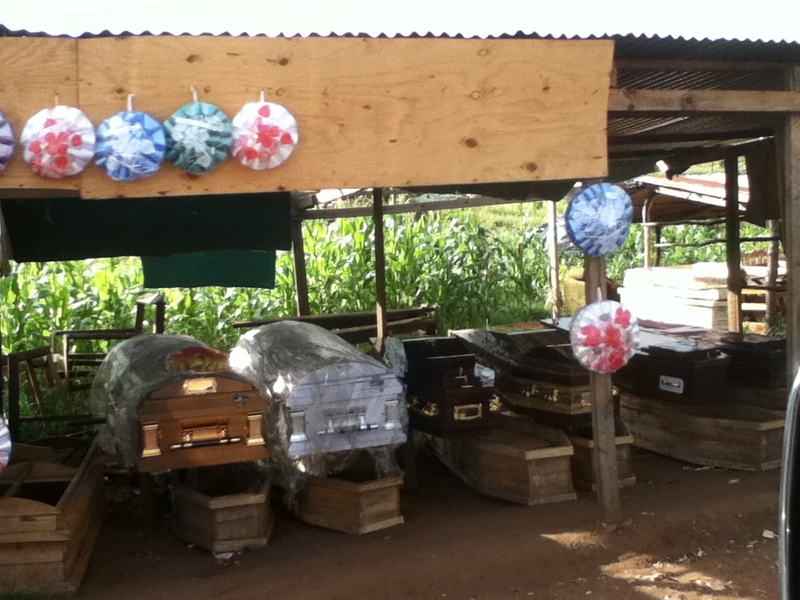 It was for very young children, about 3 and under, mostly infants. It may sound cliche to be in an African orphanage but it was lovely to hold the little bundles, help to feed them and play with them in a simple building run by a religious organization. There is a great need for such facilities in an area where so many mothers have died from HIV. As I read about the lives of these babies in a photo book at the orphanage, the same stories repeated themselves – mother died of HIV, no family members, child found on street or left at hospital or orphanage door. Mama and Papa Fabulous’s twins had stayed at this orphanage at one time, and Dr Mama had brought at least one other child here from a difficult family situation. 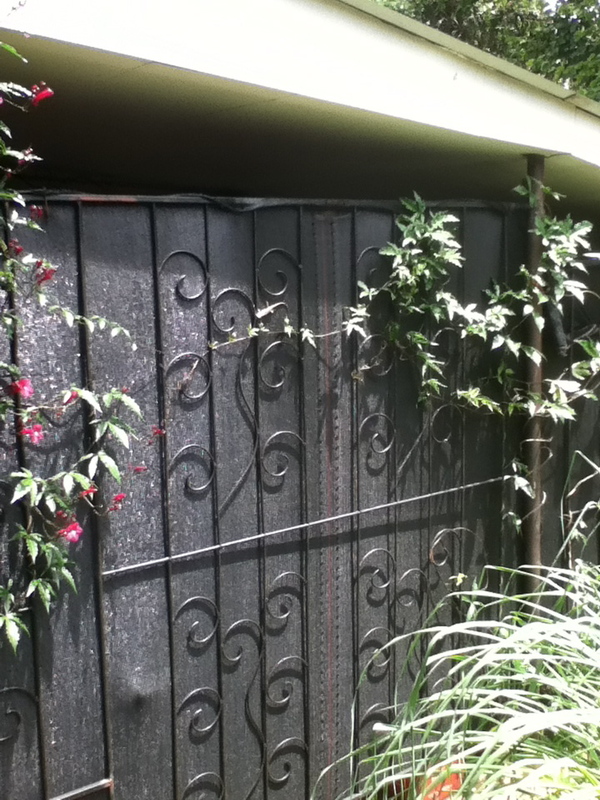 It was a sweet place, full of breezes, clean, many flowers in the garden outside, and drooling babies rolling around or napping on a brightly colored padded floor. If only there were enough places like this for all of the children in need, if only we didn’t even need such places! 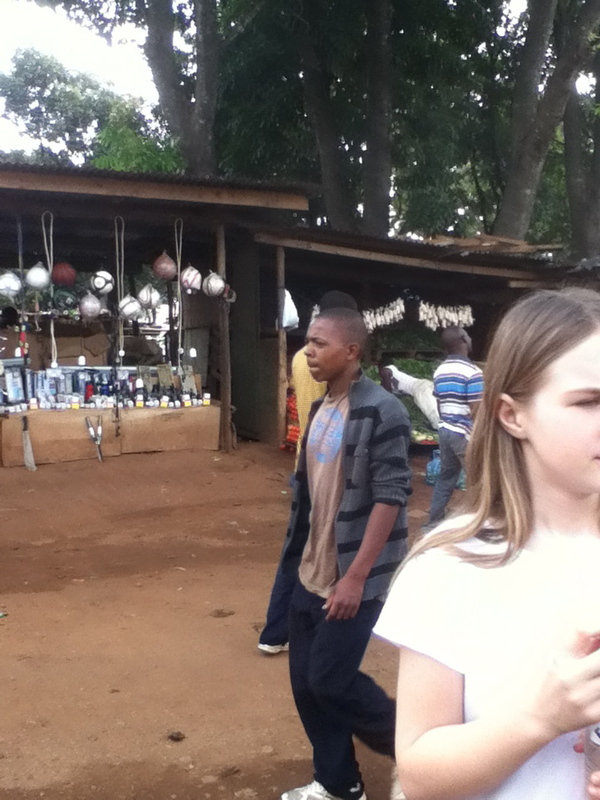 But I did feel hope for these youngest Malawians and I wished them the best. Wow, this trip was a doozy! Just myself and Fiercely went on this trip, made possible by the lucky placement of a Fabulous family living and working there for 2 years. Mama and Papa of that family have 5 children, including twins born in Malawi who joined them there, and had gone to work as MDs there. They extended from one year to two and the wanderlust wheels of my mind started turning. During the last few months of their stay, we joined them for about 2 weeks of adventures. This is how it went. Fiercely and I had never been to Africa. How do you even start? Well, for us it involved a bus to NYC, sleeping at a friend’s house in Brooklyn, then taking a taxi to John F Kennedy airport, then a plane to Johannesburg, and another plane to Lilongwe, Malawi. 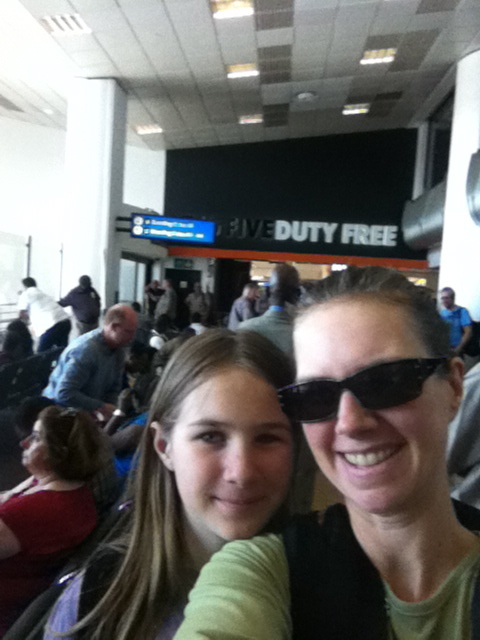 The JFK to J’burg was pretty darn long – 16 and a half hours long. The airline tries to help you with the jet lag by announcing that the lights will be off for about 10 hours and you should sleep, but that didn’t work so well for us. I think Fiercely watched about 6 movies. 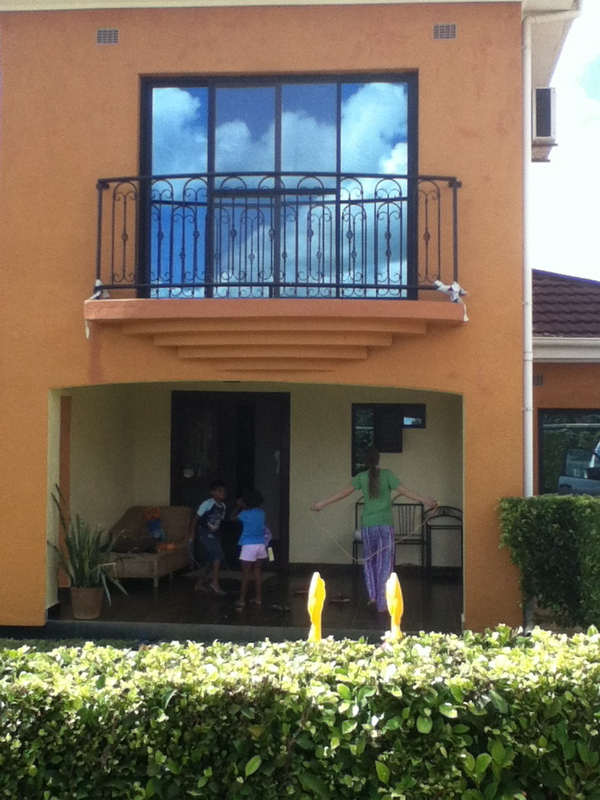 We ended up sleeping for 18 hours once we arrived at our friends’ house! 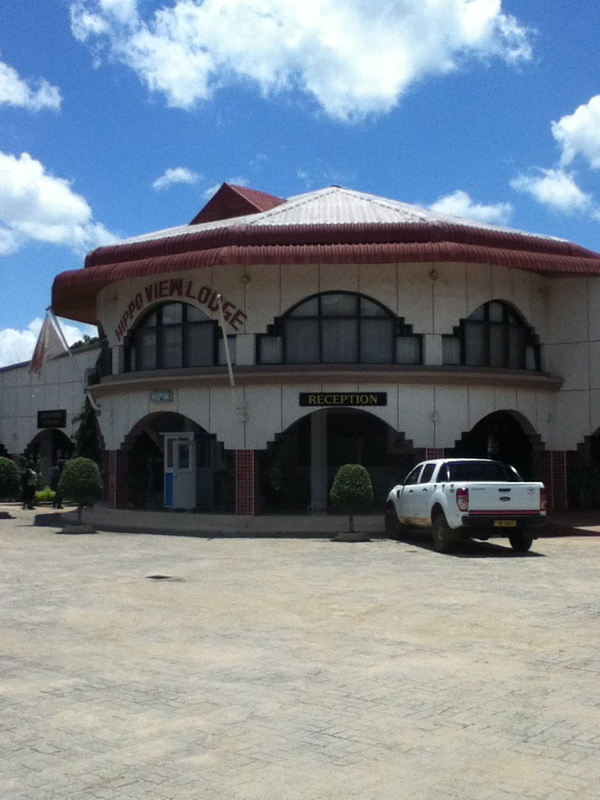 Lilongwe is the capital of Malawi, a small landlocked country just Southeast of the center of the African continent. Malawi has a narrow, somewhat curved shape that largely mimics its defining feature, the large Lake Malawi in the Northeastern 2/3 of the country. Due to its location (kind of where a heart would be if Africa was a person), climate, and relative peaceful vibe, it is known as ‘The Warm Heart of Africa’. The money is called ‘Kwacha’ (rhymes with ‘gotcha!’ and worth about 335 MK to the US $) and the language is Chichewa (chi-CHAY-wah). We spent about 2 weeks with the Fabulous family, and as I mentioned they both work as MDs and have 5 children so we spent a fair amount of time just hanging out in Lilongwe. We went to an outdoor market, a nature sanctuary, and a high-end restaurant/landscaping business when our friends had free time, and joined them at work or hung out with their kids when they didn’t. 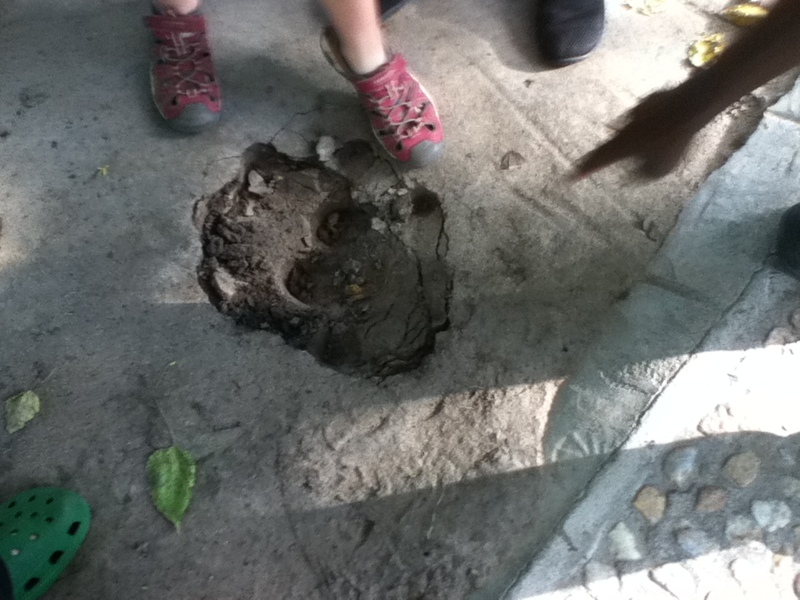 We also took a trip with them, which I’ll describe in Part 3. Scenes at the Lilongwe market, including Fiercely and myself on a toll bridge (bottom Right) we had to pay to cross, kind a Malawian version of the Tappen Zee! 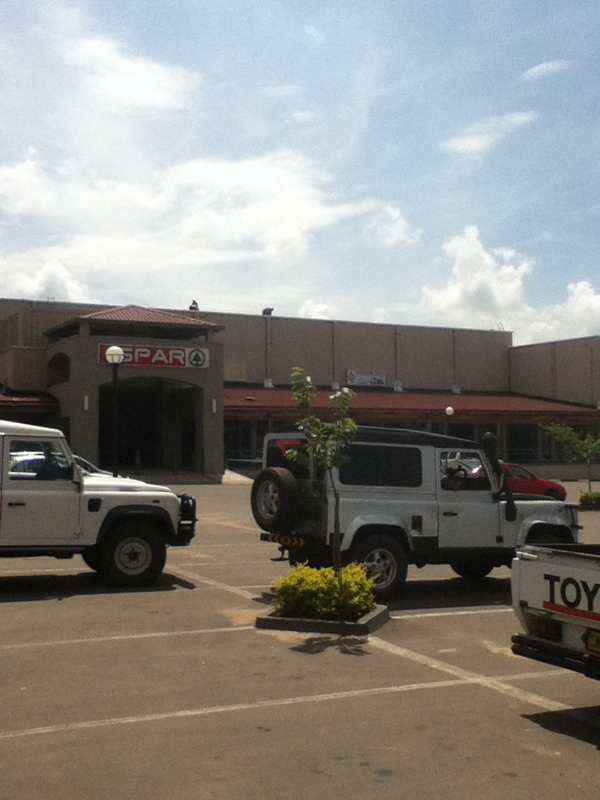 Lilongwe had surprisingly little to do as far as organized tourist activities. I kind of liked the lack of fast food restaurants, chain hotels and resorts, but I was surprised at the lack of museums, libraries, and cultural/environmental institutions. We stayed a ways out from the town center and traveled by car, Mama Fabulous driving expertly on the left side of the road. Public transportation, overpacked vans as far as I could gather, confused me and I found the language difficult. Just saying good morning/afternoon/evening was a challenge and I am generally good with languages. I just stuck with “muli bwanji”, which is a greeting that was not always correct but seemed to work, and plenty of enthusiastic “zicomo”s – “thank you”. 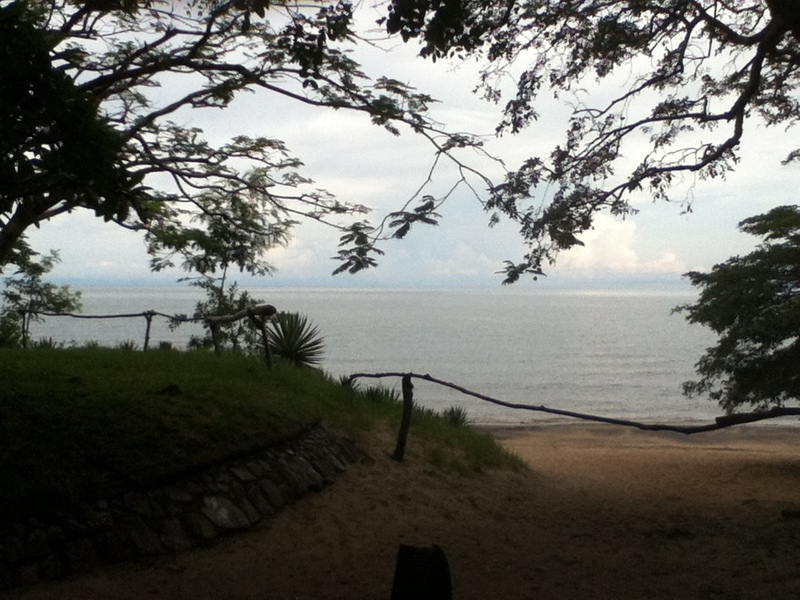 Compared to Central America, I found Malawi much more difficult to navigate and with far fewer options for things to do. Also expensive – gas was about $12 a gallon! A day trip I considered to a neighboring village (where they made pottery and, incongruously, cheesecake) would have set me back about US$ 170 which was out of our budget for sure! Even if the cheesecake was included LOL. 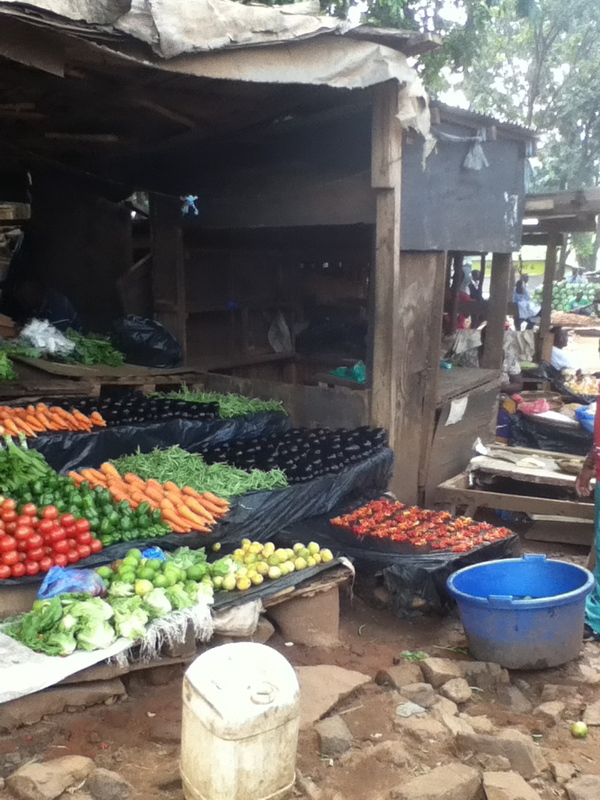 Lilongwe is very spread out, so distances seemed long to me as we went from the house to the market or the hospital or the store. Maybe it was my short length of stay, but I was surprised. Clockwise from top Left: Fiercely with our tour guide, me learning about how to avoid crocs, a porcupine resident of the Centre, and part of a play structure at the Centre. 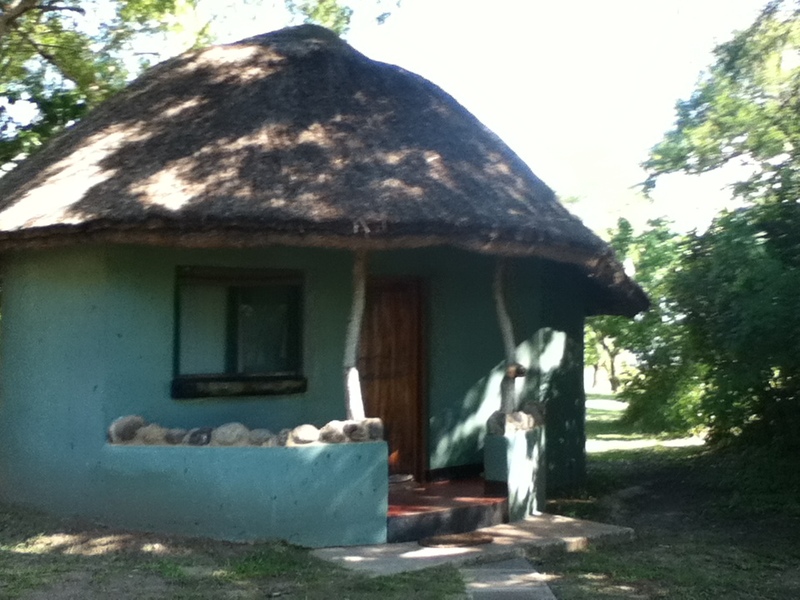 The Lilongwe Wildlife Centre was one of the only tourist-type places in the area. We spent maybe 4 hours here, the first hour of which was a guided tour. The Centre houses several recovering zoo animals, such as a lion that was from Eastern European zoo who was not being cared for properly. 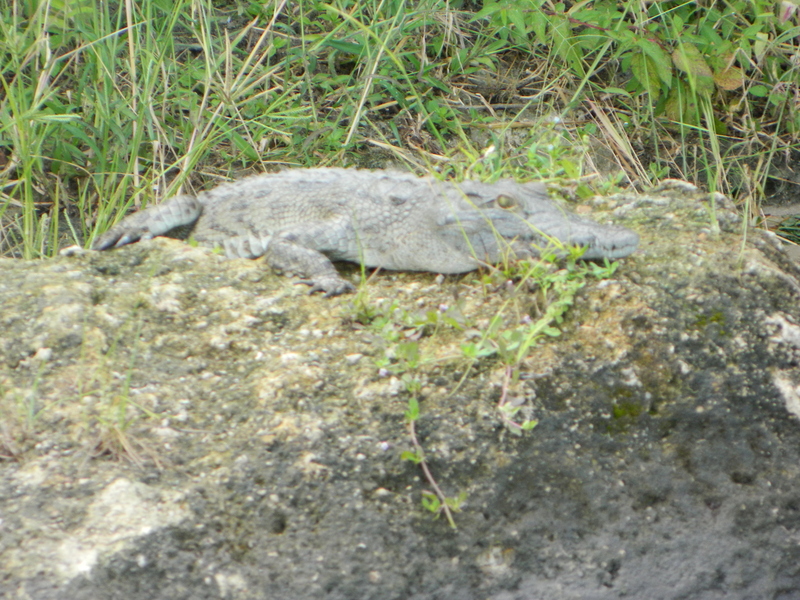 There was a river next to the property and a trail system with warnings about crocodiles. I took a hike on the trail and considered the possibility of getting lost (Fiercely decided to read her book and stick closer to civilization instead). OK, that’s it for part 1- check back for part 2!